Flip a coin. 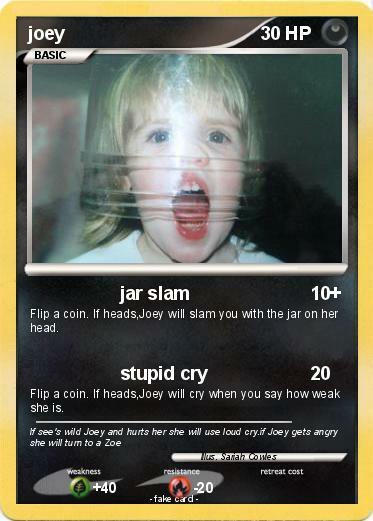 If heads,Joey will slam you with the jar on her head. Flip a coin. If heads,Joey will cry when you say how weak she is.